Our assortments are well acclaimed for its quality and performance. With underlying same promise our printed films is available in over 50 designs and 500 combinations. Responsive Printed Film in used in table-mats, raincoats, covers for fridge, television and washing machines, shower curtains, and many more items. We supply very high quality water transfer films and well tested chemicals such as all in one primer, top coat and activator. We also provide a one day basic training program on Hydrographics at Ahmedabad. For all your techincal needs, we are the best solution providers. 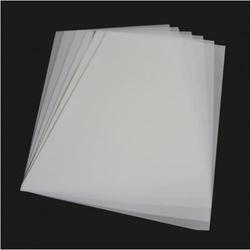 Chromolene film (Direct Indirect Film) available in various microns like 20, 25, 50 microns available in rolls.The film, bonded to the print surface of the mesh by emulsion, keeps the print surface flat for excellent print fidelity, like capillary and indirect film methods. We are specialized in offering a highly durable range of Surface Printing Films that has excellent print ability and seal property on surface of film. Available in different variety of colours, these are immensely used for packaging oil, milk, water & other food products. We offer these at highly affordable prices to match up with the budgetary constraints of our clients. At kp, we know that your customers want durable, beautiful printed products. That’s why we manufacture Pentaprint®, a line of printing films ideal for everything from signs to greeting cards. We are offering Chromoline Sheets to our clients. 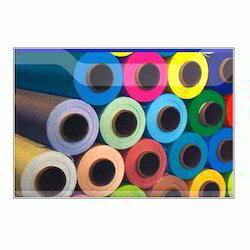 We are providing our esteemed clients, a wide assortment of LDPE Printed Film, that is manufactured using quality approved raw material and latest machinery. The offered range is manufactured by our experts in order to meet the industrial norms.